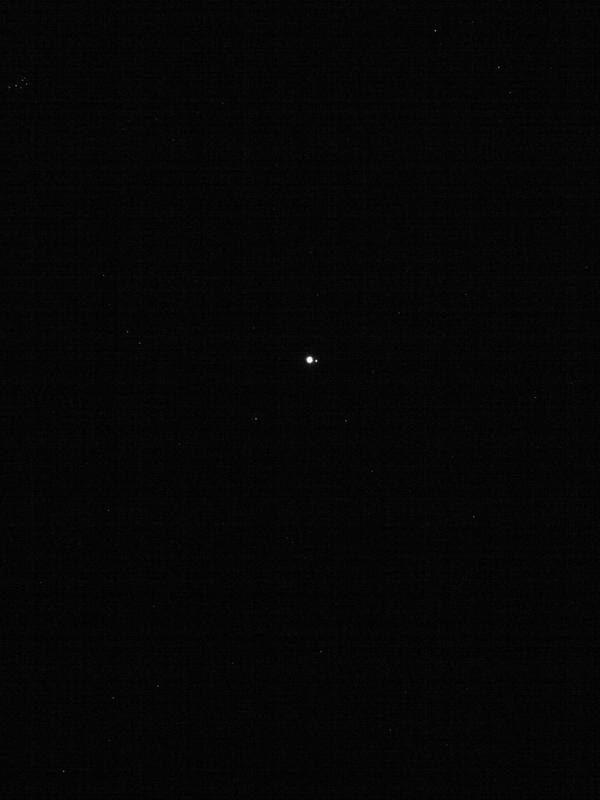 February 20, 2018 – As part of an engineering test, NASA’s OSIRIS-REx spacecraft captured this image of the Earth and Moon using its NavCam1 imager on January 17 from a distance of 39.5 million miles (63.6 million km). When the camera acquired the image, the spacecraft was moving away from home at a speed of 19,000 miles per hour (8.5 kilometers per second). NavCam1, a grayscale imager, is part of the TAGCAMS (Touch-And-Go Camera System) navigation camera suite. NavCam images will track starfields and landmarks on Bennu to determine the spacecraft position during mission operations. Malin Space Science Systems designed, built, and tested TAGCAMS; Lockheed Martin integrated TAGCAMS to the OSIRIS-REx spacecraft and operates TAGCAMS. OSIRIS-REx is undertaking a challenging mission to visit near-Earth asteroid Bennu, survey the surface, collect samples and deliver them safely back to Earth. This is the first NASA mission to attempt such an undertaking. NASA’s Goddard Space Flight Center provides overall mission management, systems engineering and the safety and mission assurance for OSIRIS-REx. Dante Lauretta of the University of Arizona, Tucson, is the principal investigator, and the University of Arizona also leads the science team and the mission’s science observation planning and data processing. Lockheed Martin Space Systems in Littleton, Colorado, built the spacecraft and is providing flight operations. Goddard and KinetX Aerospace are responsible for navigating the OSIRIS-REx spacecraft.